Why do people hate one another? Who gets to speak for whom? Why do so many people combat prejudice based on their race, sexual orientation, or disability? What does segregation look like today? Many of us ponder and discuss urgent questions such as these at home, and see them debated in the media, the classroom, and our social media feeds, but many of us don't have access to the important new ways philosophers are thinking about these very issues. Enter UnMute, the popular podcast hosted by Myisha Cherry, which hosts a diverse group of philosophers and explores their cutting-edge work through casual conversation. This book collects 31 of Cherry's lively and timely interviews, offering an accessible resource through which to encounter some of philosophy's most socially and politically engaged, public-facing work. Its original illustrations, depicting the interview subjects up close, show just how broad a range of philosophers--black, white, and brown, male and female, queer and straight, abled and disabled--are at the center of crucial contemporary conversations. Cherry asks philosophers to talk about their ideas in ways that anyone can understand, explaining how they got interseted in philosophy, and why the questions they investigate matter urgently. Along with the interviews, the volume provides a foreword by Cornel West, a section in which all the interviewees explain how they got into philosophy, and a "Say What?" glossary defining terms that might be new to some readers. Like the podcast that inspired it, the book welcomes in those new to these philosophical questions, those captivated by questions of race, class, gender, and other issues and looking for a new lens through which to examine them, and those well-versed in public philosophy looking for a one-stop guide. 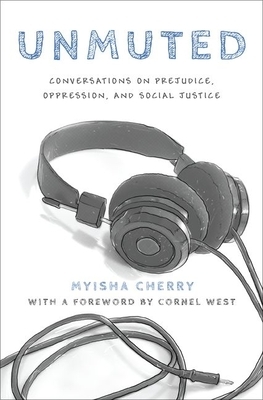 Myisha Cherry is Assistant Professor of Philosophy at the University of California, Riverside. The host and producer of the UnMute Podcast, she has written publicly about emotions, justice, race, and gender for the Los Angeles Times, New Philosopher, Salon, and Huffington Post. Her other books include The Moral Psychology of Anger, co-edited with Owen Flanagan (Rowman and Littlefield).